What's The Best Mini Microwave For Dorm Rooms? With their multitude of functions, microwaves are an integral part of any home kitchen. But what happens if you’re staying in a small apartment or a college dorm room where space is a constraint? You go for the best mini microwave you can afford of course. 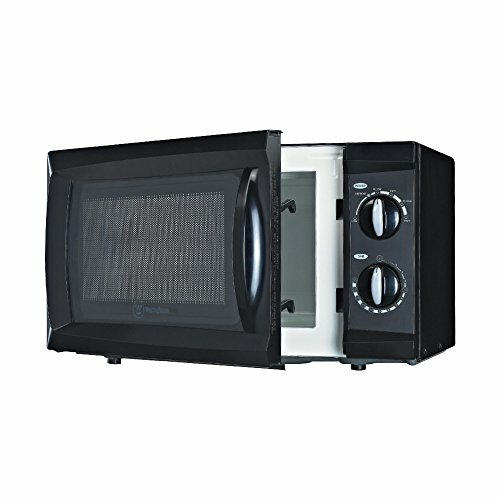 Packed with all the normal features of a good, regular microwave a mini microwave is a great asset for occasional use in a small place, such as the college dorm. Here are some of the best diminutive microwaves available on the market. The Westinghouse, with its small footprint of 0.6 cubic feet, comes with that special mark of quality you’ve been used to back home. So whether you’re staying in a studio or a small apartment or a dormitory, you can depend on this mini microwave to ensure quality cooking of home-like food. Its six cooking power levels (ranging from high, med/high and medium, to med/low, low and defrost) are just one amazing feature of the Westinghouse. The 600 watts of cooking power it’s packed with ensure perfect ease of operation, with a time range of 1 to 30 minutes to prevent any risk of over-cooking. You can carry this compact little microwave to your tiny apartment or college dorm without worrying about finding a suitable place for it. This lightweight microwave is wonderfully simple to use and maintain, yet delivers food quality synonymous with the best. With this smart machine (available in black and white), you can cook your favorite dishes and re-heat food, or simply warm up your beverages at the click of a button. With a timer to announce the end of cooking, you won’t need to hang around the microwave platform but can prepare your food while carrying on with a host of other important things. 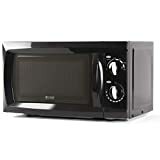 This stainless steel Danby microwave is a stylish black to augment any décor. With 0.7 cubic feet capacity and 700 watts of cooking power, it’s simply perfect for your dorm or small apartment. It has features to enable cooking by weight, speed defrosting and defrosting by weight. Perfect for a small place, it serves the purpose of a good microwave for dorm rooms especially if you want to use it for warming up leftovers like pizza or frozen convenience food and snacks. You can put it in a cupboard if you like, thus ensuring no wastage of space. Extremely light and relatively quiet, you’ll find this tiny microwave easy to clean and maintain. It’s undoubtedly a good deal for its price. Its attractive stainless look makes the Whirlpool WMC20005YD appear like any of those nice big microwaves that adorn a home kitchen. Its small and compact size, however, is ideally suited for a dorm or small apartment. The unique 30-seconds option can be added to improve the functionality of this unit, while the quick touch popcorn button is an amazing feature that is more aligned to the bigger and fancier machines. The 0.5 cu. Ft. capacity provides enough space for a dinner plate. It’s really small, and that’s all that really matters if you’re looking for a good quality dorm microwave. It may not have a whole range of exotic features but it has enough to make it a functionally efficient machine. It has quite a handsome design considering the small footprint and this tiny microwave comes with the Whirlpool mark of quality. It’s particularly suitable for quick heating jobs, which is what you’re more likely to need it for especially in a dorm room. So Which is Our Best Mini Microwave For The Dorm? You do have quite a good choice if you’re in search of a tiny microwave for your apartment or dorm room. You’d better go for the Westinghouse WCM660B if you want a basic model that has all the essential features of a good dorm microwave. If you want something with a little more power, you can choose between the Whirlpool WMC20005YD or the Danby Designer. While both are adequately equipped for your minimalistic needs, the Whirlpool has 10 power levels for varied needs with an add-on 30-second option which makes it our best mini microwave for the dorm. 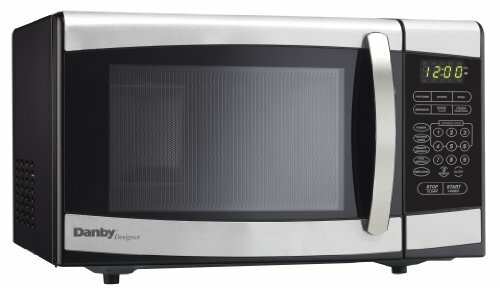 The Danby Designer is still a great dorm size microwave if you’re looking for something solid and stylish with simple easy to use functions.